The first thing that comes to mind when thinking about your moving day are the items you are going to take to your new home. Prohibited items for removals will be the last thing to cross your mind. However, it is important to note that even professional movers cannot and should not handle restricted items. There are reasons why these items are prohibited. They might be too unsafe or unsuitable for a moving company. The moving companies restricted items may either be dangerous or sentimental. If you have prepared a list of non-allowable items in advance, you will be saved from last-minute stress. What are the moving companies restricted items? Items that will not be allowed for removal include corrosive, flammable and explosive items, which may include radioactive materials, poisons and compressed gasses. These dangerous items are not allowed because of safety legislation. If you want to know how to prepare for movers and packers, these are some of the common household items you should keep in mind. Petrol, motor oil, matches, aerosols, propane cylinders, lighter fluid and nail polish removers are also dangerous items. It is recommended that you figure out in advance which items you should bring. You can also read the label of any materials or chemicals so you will know how to dispose or transport them. Aside from dangerous items, perishable goods are not also allowed to be packed on a removal van. If you are learning about what not to pack when moving, these goods are included in the list. Perishables may create a potential mess when in transit. Fridge and freezer must also be cleaned before moving. You can also donate foods that cannot be used. 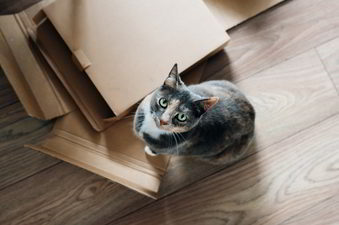 Pets are also prohibited items for removals. A removal van can get very hot and may not be conducive to transporting your pets. Whether you have a cat, dog, fish or hamster, it is your responsibility to transport them safely. You may also get in touch with your vet to find out how you can transport your pets. Aside from pets, plants are also considered as fragile things. Since plant pots are heavy, they may take up a lot of space in the van. There is also a slim chance of survival especially when transported for longer hours. Finally, valuable items must also be handled with care and should not be entrusted to removal companies. These items include computers, laptops, tablets, family jewelry and even confidential documents. You should have a separate box for these items. Label them and check with your home insurance provider if valuable items are covered when moving house. It is worth knowing the prohibited items for removals as this will ensure a stress-free move. Since you need specific guidance when moving these items, it is important to hire only a trusted moving company. Moves Transport will handle your valuable items with care. They also provide top-notch boxes to provide your items with additional protection.